Nurture Receives a $60K Breastfeeding Grant - nurture. Nurture is pleased to announce that we have received a two-year, $60,000 Healthy Communities Action Team grant from the Virginia Foundation for Healthy Youth. The grant will support the work of #RVAbreastfeeds, a coalition that seeks to reduce childhood obesity through policy, infrastructure, and environmental changes that promote a breastfeeding friendly community. Since 2013, leveraging input and support from multiple partners, #RVAbreastfeeds has sponsored multiple initiatives and public awareness campaigns designed to increase community support for breastfeeding families. Coalition activities have received attention in multiple publications, at national and international conferences, and were recently featured in an article in the 2018 Journal of Human Lactation special issue on Social Justice. Nurture’s Executive Director, Leslie Lytle, who previously coordinated #RVAbreastfeeds through Richmond Healthy Start Initiative, will continue to oversee coalition activities under Nurture’s umbrella. Partners for the 2018 – 2020 grant cycle include VCU Health, the Virginia Family and Fatherhood Initiative, Richmond City Health District, cBe Consulting, Richmond City WIC, Richmond Resource Mothers, CW Television, and several community members who are breastfeeding parents or family members of breastfeeding parents. “Nurture is thrilled to build on the solid foundation that began under the auspices of Richmond Healthy Start Initiative. The move to nonprofit oversight allows us greater capacity to implement breastfeeding promotion strategies and also increases our ability to raise funds to support these activities,” says Ms. Lytle. #RVAbreastfeeds work is guided by the recommendations of the 2011 Surgeon General’s Call to Action to Support Breastfeeding. With the support of the Virginia Foundation for Healthy Youth funding, the coalition plans to implement initiatives within three overlapping areas that influence the breastfeeding environment: Health Care Systems, Community Conditions, and Workplace Policies. Under Nurture’s umbrella, the coalition will continue to host its highly regarded educational seminars and public awareness campaigns. Nurture will also collaborate with grant partner Richmond City WIC to conduct outreach to businesses that employ low-income mothers to encourage them to adopt lactation-supportive practices and policies. 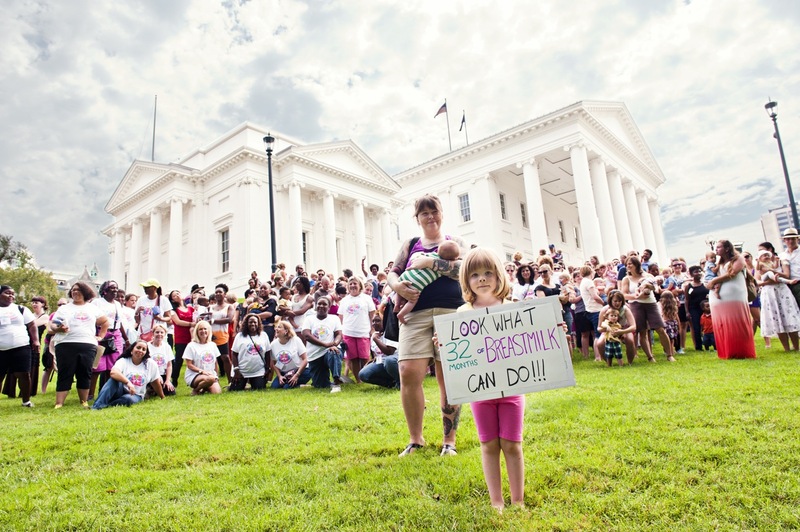 Participation in #RVAbreastfeeds meetings is open to all who are interested in creating a more breastfeeding friendly environment in Richmond, Virginia. We welcome your input, stories, and assistance as we continue to grow our community’s capacity to promote the health and wellbeing of Richmond’s newest families. For further information or to join the coalition mailing list, please visit RVAbreastfeeds or email info@nurtureRVA.org. Congratulations! Your work is important and appreciated. Thanks for all you do for our community’s women and children. Thank you so much Heather! We so appreciate your support!